Descendants of baseball immortal Babe Ruth and Major League legends Ferguson (Fergie) Jenkins and Al (The Mad Hungarian) Hrabosky will help celebrate with Hot Springs on its completion of its internationally famous Historic Baseball Trail March 23 and March 24. The Hot Springs Baseball Weekend will commemorate the 100th anniversary of Babe Ruth’s historic 500-foot home run during spring training at Whittington Park in Hot Springs. In addition, a dedication of two Baseball Trail markers honoring legendary Arkansas-born catcher Bill Dickey and legendary pitcher Lefty Grove will take place. On Friday, March 23, the final two plaques on the Historic Baseball Trail will be dedicated. The Trail honors the scores of pitchers and catchers who trained in Hot Springs, which is now widely known as The Birthplace of Major League Spring Training. The weekend begins with the Friday, March 23 dedication of Baseball Trail Plaques and Playing in the Major Leagues, a panel discussion featuring Hall of Famer Ferguson (Fergie) Jenkins and player-turned-broadcaster Al (The Mad Hungarian) Hrabosky at 6 p.m. at the Hot Springs Convention Center. Events continue on Saturday, March 24 with the ceremony commemorating the 100th Anniversary of Babe Ruth’s 500-foot homerun at Whittington Park along with a screening of the documentary film, The First Boys of Spring, documenting the birth of Major League spring training in Hot Springs more than 100 years ago. 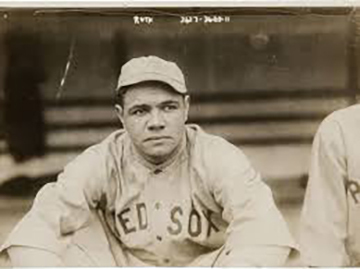 Fans of the immoral Babe, won’t want to miss The Life of the Sultan of Swat, another panel discussion featuring members of the Ruth Family and noted Babe Ruth historians Bill Jenkinson and Tim Reid. Reid has completed two websites that commemorate Ruth’s First 500-foot Home Run and the legendary catchers who trained in Hot Springs (www.firstfivehundredfoothomerun.com and www.hotspringscatchershalloffame.jimdo.com.